I raced home and, within minutes, my house was engulfed in flames. Three quarters of everything we owned: incinerated. Thankfully, many special family items were rescued, including hundreds of irreplaceable photos—we have the local fire department to thank for that. Three huge fire trucks and at least 15 firemen worked well into the night dousing our house before the flames were completely extinguished. I have no idea what it cost, but I’m really glad I didn’t receive a bill. Imagine receiving a bill for all municipal services. Did you know that road paving costs about $95 per ton of asphalt? Or that each high school student costs about $10,000 per year to educate? What if we received a bill for a bad guy being arrested in our county? What if you had to consider the cost of an ambulance before calling 911? Many essential services are paid for with property tax. Assessors, property appraisers, and equalization departments (they have different names and titles around the country) are responsible for valuing your property fairly and equitably. It’s this value on which property taxes are determined, but please note that assessors only value property; they don’t set the tax rate (all of my assessor friends constantly remind me of that). In other words, no one really likes taxes, but if we know we’re assessed fairly and how those taxes are spent, we can deal with it better. That’s also why transparency is key (more on that below). Story maps are used to communicate tax impact and benefits. Part of assessing fairly is gathering a tremendous amount of data on your property. Many jurisdictions maintain more than 150 characteristics on every property so they can determine market value as accurately as possible. This data—structure type and age, siding type and condition, lot size, roof material, number of rooms, heating system type, and so forth—is used daily by assessors who often inspect property every few years to be sure the data is current. Moreover, all local government departments depend on this data being accurate, adding new responsibilities to the assessor’s office. In a very real sense, the assessor is becoming the data manager of local government, raising the profile and value of assessor departments and the work they do. As we add new apps and capabilities to our systems, we need more complete and accurate data. And we’re relying more on assessors to curate and serve that authoritative information. One particular challenge here is that other departments may want to use the assessor’s property data in a different format. Fortunately, the ArcGIS platform supports services so that data can be shared and used in standard open formats. This services integration is key to eliminating duplicated data and redundant maintenance in local government. I have a good friend who annually contacts local governments to collect and aggregate western states’ parcel data (property lines, structure type, size, etc.) into a single database to help manage wildland firefighting. This data—combined with many other data sets such as vegetation types, slopes, roads, and power lines—are used in GIS to help firefighters make the best decisions. That’s just one of the reasons why parcel data is critical. Although property tax is local, states have the responsibility to oversee it. For that reason, many states aggregate parcel data for better oversight and analysis of tax rates, sales ratios, untaxed property, and so forth. Statewide parcel data is useful in other areas including economic development, addressing systems, transportation planning, watershed management, and many more. Aggregating data in the past was a laborious manual task. Today, however, commercial off-the-shelf (COTS) software solutions reduce the burden on local assessors while also empowering state government agencies. See Community Parcels for State Government, for example. 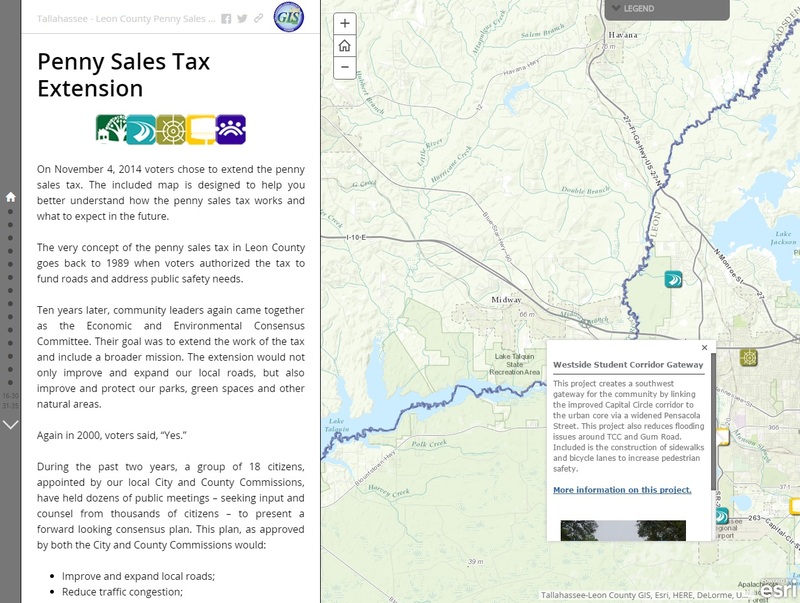 Interactive maps and easy-to-use apps answer taxpayer questions. Property taxation only really works when we know we’re taxed fairly and equitably. If property owners discover otherwise, they’ll appeal. Appeals are costly and time consuming, so assessors do their best to deliver the most accurate property values to avoid them. Open Data makes this discovery possible by enabling assessors to share their authoritative data with everyone. As technology provides new opportunities for applications and analysis, a new type of transparency is required for the whole system to function properly and power new applications. Sometimes just a simple map will do. If you want to look at property values or even the top ten taxpayers in your neighborhood, you can do that with some easy-to-use maps and apps. 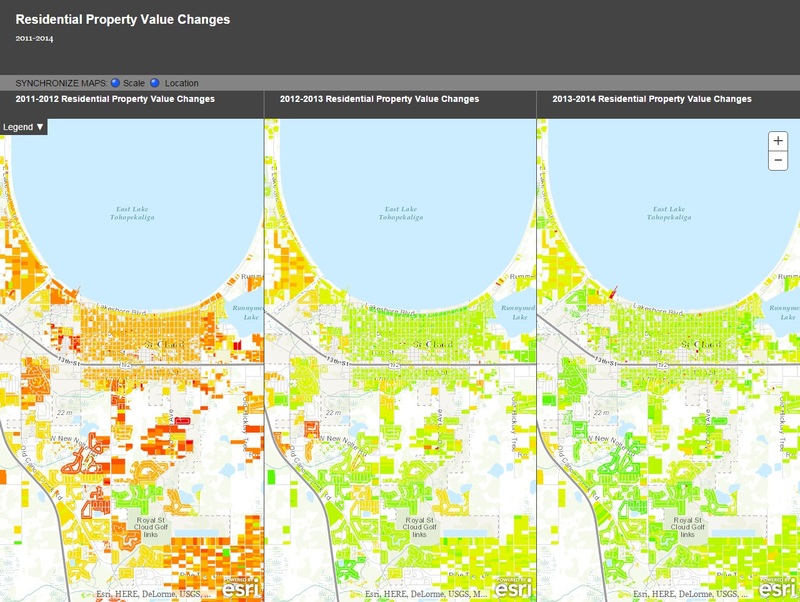 Now we can make story maps to highlight specific things such as property value changes by year or how a specific sales tax is being spent. We can make an endless variety of maps that answer some very specific questions. This adds to transparency, increasing public trust and confidence in government while reducing phone calls and citizen requests. This is a new kind of transparency that helps citizens understand how property is taxed and gives access to authoritative data. 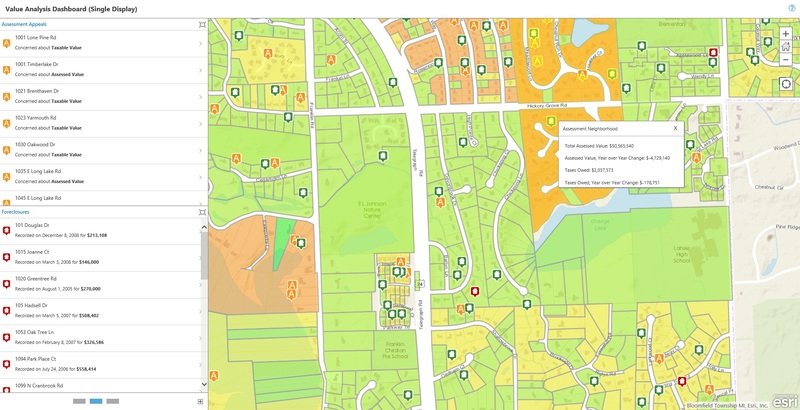 Assessors use map-based dashboards and tools to understand trends and patterns for real estate valuation. When I was a kid in Maine, the sound of a snowplow at 4:00 a.m. heralded hope—not hope for cleared roads but, rather, hope to sleep in and have a snow day off school. Kids aren’t so appreciative of civic services, but if you’re reading this, you know how important those services are. Property taxes pay for the things that improve our collective quality of life daily. Assessors should be recognized for contributing to the successful operation of all local government. Their use of GIS to manage and share critical data with everyone has become an invaluable government function that will only continue to grow.